Did you check out the stunning 70m tunnel of LED lights, called Cathedral of Lights . 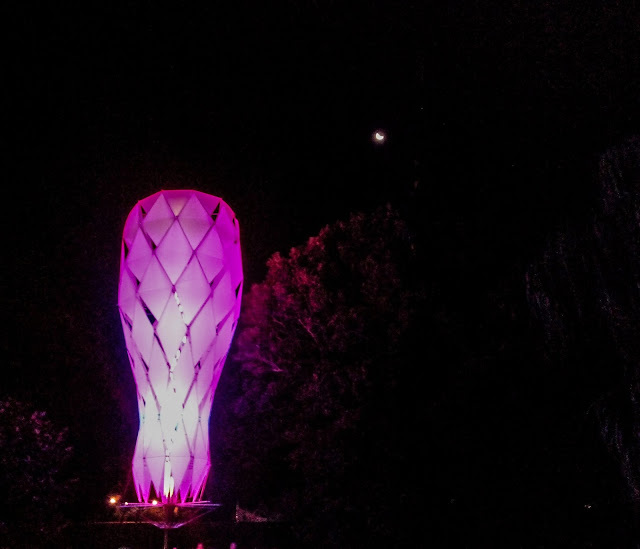 Hello there ... continuing my photo series on Vivid Sydney 2016, today, let's stroll around the Sydney Royal Botanic Garden. Different zentangle like patterns were cast on the surrounding tress, which kept changing after a short interval of time. I absolutely admire the creativity and the complete execution of the idea. Against the Sydney Opera house and the harbour, this view looked fascinating!! Royal Botanic Garden turned 200 this year and what a grand way to celebrate the occasion. 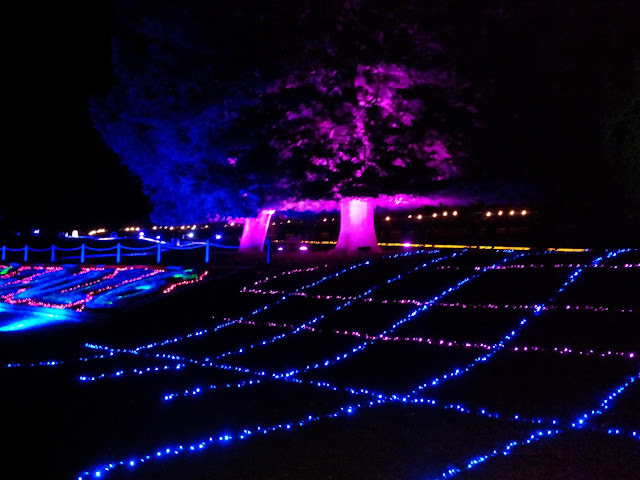 The 'Electric Garden' brightened up the night in thousand hues. Do let me know which one is your favourite among all the installations. My favourite is still the Cathedral of lights. 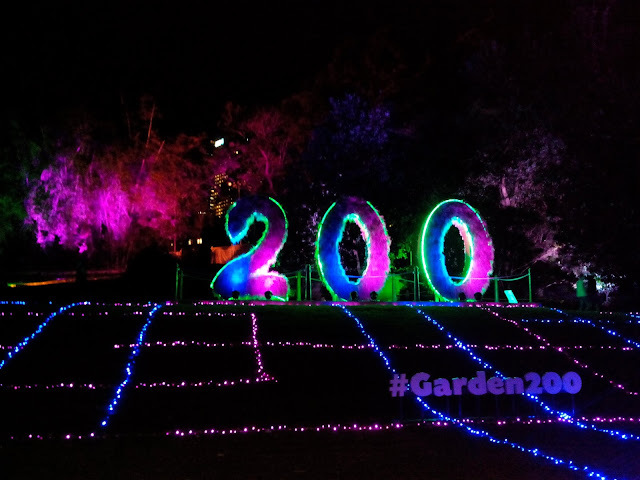 Happy 200th to the gardens, these colors are glorious. "Sentiment Cocoon," lol. Wud make a great name for a band. This is gorgeous. I always run out of words when I comment on your pictures. They are simply beautiful. Wow! magnificent and stunning, Raj. 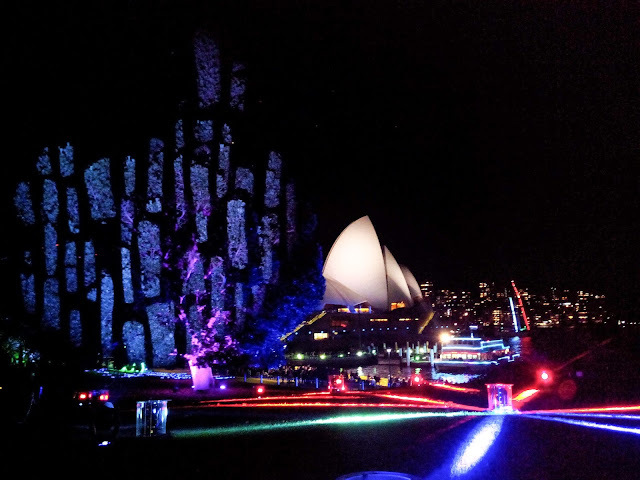 I can't decide on a favorite - although I quite like the circular quay and cathedral lights. How amazing it must be to see them. The scale is mind-blowing! Nothing like beautiful and surprising art. 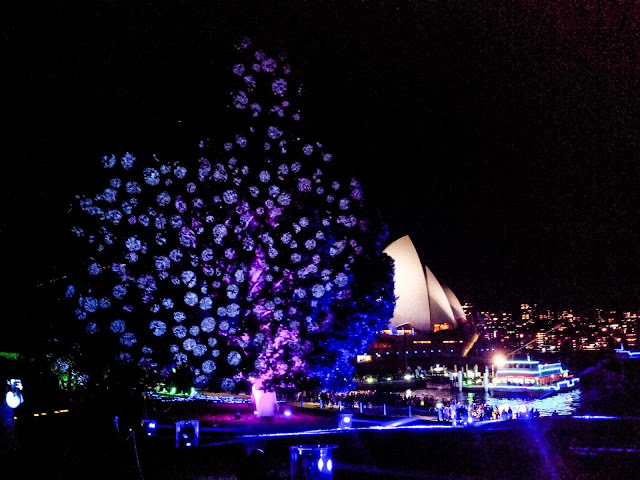 My favourite is always the Opera house but this was beautiful too this year. I didn't bother to brave my way through the cathedral of lights because of the crowds. I hope to visit Sidney someday, the Opera House is so stunning!